Elena is passionate about Change, Turning New Ideas to Action, Developing New Businesses and Creative Reengineering. Elena studied Economics, Finance and Operations Management at Princeton University. She then worked at J.P. Morgan Chase in New York and London where she was part of a team designing and marketing innovative hedging and monetization equity products for large corporates. She obtained an MBA from the London Business School, where she concentrated in Strategy and Management of Entrepreneurial Businesses. Through London Business School, she was given the opportunity to work on business development and financial feasibility consulting projects for EBAY (UK), Saatchi & Saatchi (London). Argos.co.uk (London) and the Quthing Eco-tourist resort (Africa), amongst others. 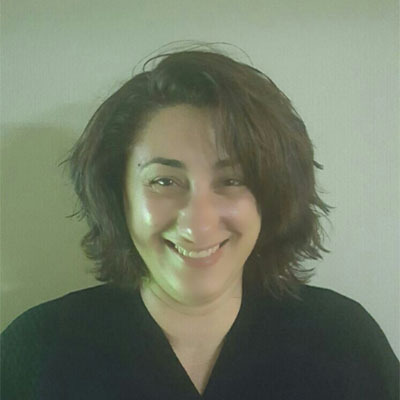 In Cyprus she worked in Business Development for several private companies, where she gained insights into strategic takeover and merger opportunities, new product launching, marketing strategies, market research, new business venture investment and finance reengineering. In parallel, she took an active interest in offering business development consulting advice to artists, scientists and young entrepreneurs and was engaged in several charity and fundraising community projects. More recently, she has been an officer at Hellenic Bank in Cyprus, where se enthusiastically got engaged in the Bank’s Project Finance team for large projects and new business ventures (e.g. Wind parks, Solar Parks, Marinas, infrastructure projects, etc). She has been part of business development teams which have extended new lending to existing or new businesses and a member of restructuring and business reengineering teams for large companies, as well as small to medium enterprises. Having experienced firsthand the challenges of traditional business financing, she has become particularly interested in alternative methods of financing and in particular, crowd funding. Elena studies creativity release and team building through African Drumming and Expressive Dance. She is fascinated by young entrepreneurs and aspires to add value to the development and the success of entrepreneurship in Cyprus.